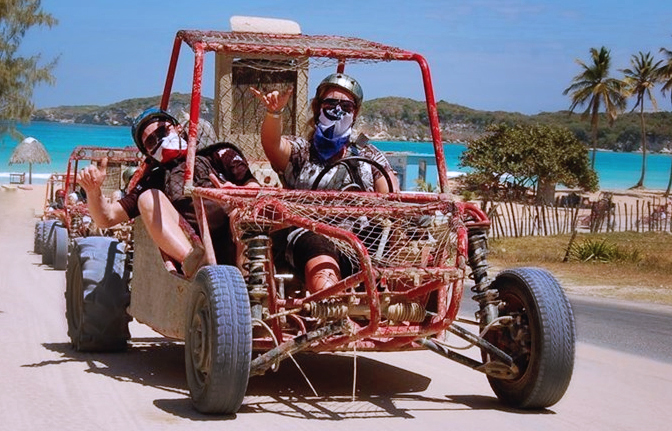 Enjoy an exciting adventure on buggies to explore an amazing landscape in El Seibo and Macao beach, besides swimming in the incredible water. 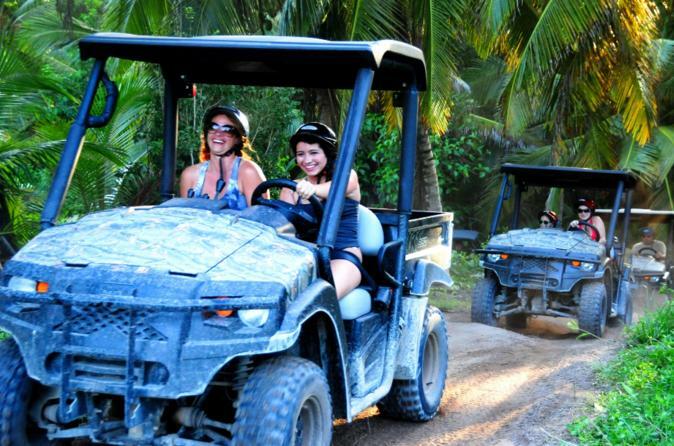 This is an unforgettable and crazy adventure, half-day activity for the whole family. 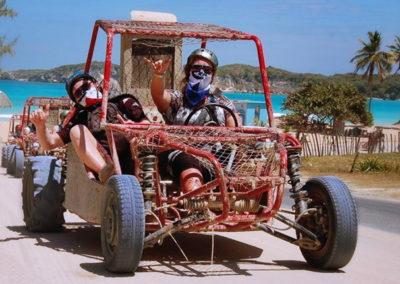 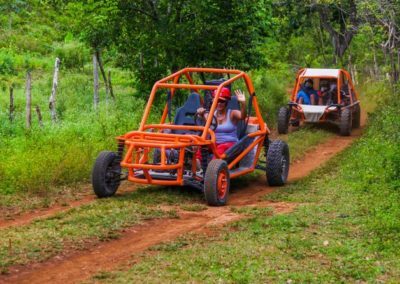 Drive a funny and modern buggy Club Car 4x4 off-road, travelling from our ranch in Macao, through farmland North of Punta Cana, where you are going to enjoy the beautiful landscape of palm, plantations of tobacco and the Cordillera Oriental. 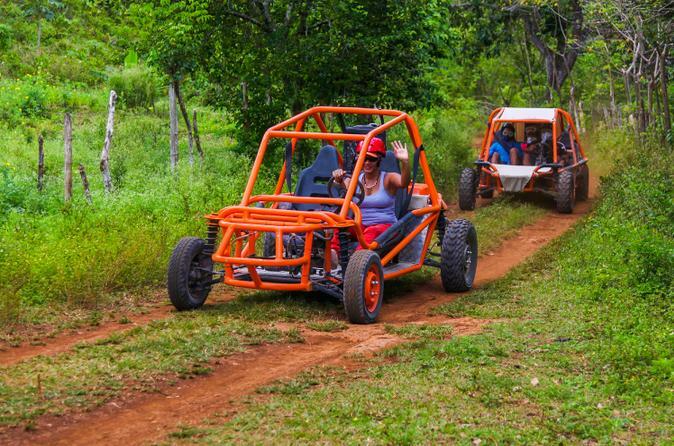 These narrow and isolated rural roads provide the perfect opportunity to have a slightly wild day! 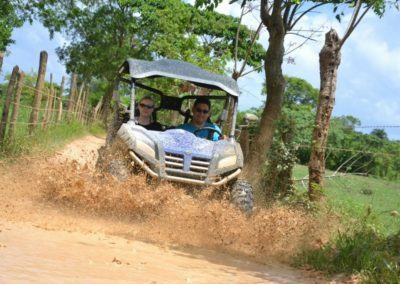 Your first stop is going to be a typical ranch for an introduction on local products such as cocoa, coffee, tobacco and mamajuana (an aphrodisiac elixir of Dominican Republic). Adventure continues on the rocky road, between panoramic view of endless farmland and distant mountains. 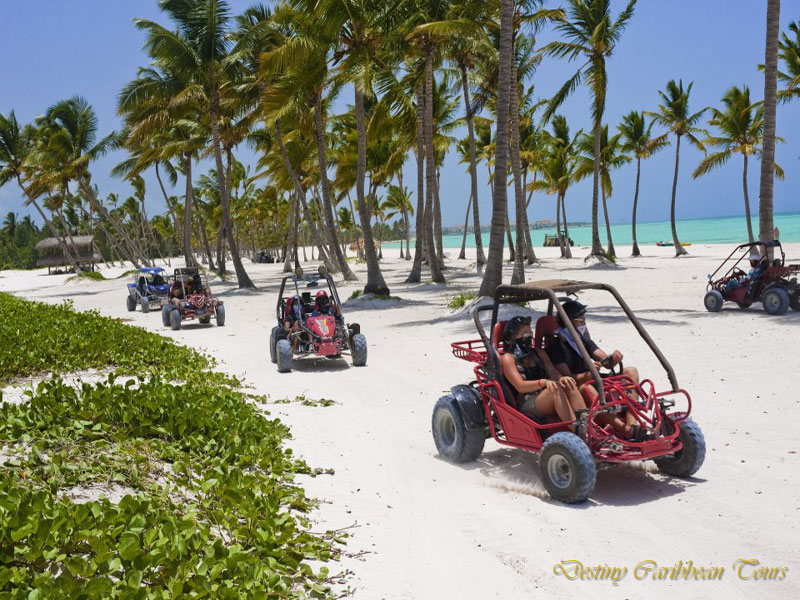 The tour is going to finish on the shores of the photogenic Macao beach, one of the last wild beaches in Punta Cana. 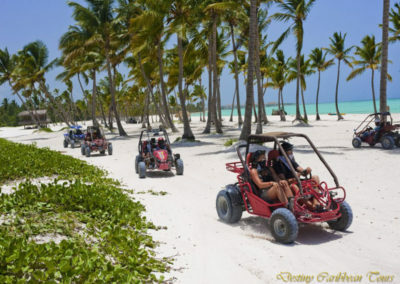 Later there will be time to enjoy this beautiful Caribbean beach with rows of palm trees and blue water.